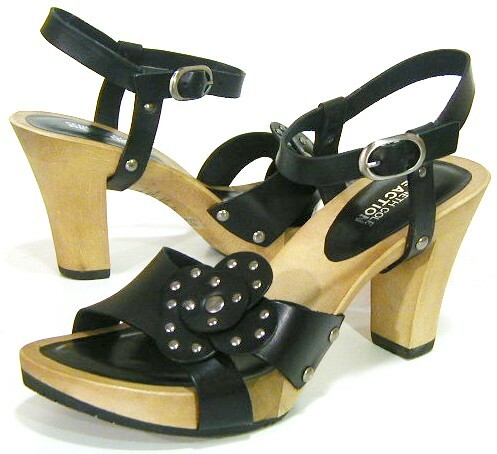 So, I would totally love these “hot coco” sandals that my boi Ken had made; except I’m not so big on rosettes on stuff. Maybe if I was a flamenco (or tango too, I guess) dancer, I’d be all about it. But alas, I’m not. So, I was looking for shoes that looked similar to these sandals by Kenneth Cole: And I found these: Yes, they were very similar. veeeerrryy similar. I’m a picture person. When I get magazines, I flip through the whole damn thing, & look at all the pics. Sometimes, I’ll read the captions. After I’ve seen all the pics, I’ll go back & actually read the damn thing. Anyway, so I saw the pic of the shoe FIRST. I totally want to emphasize that. 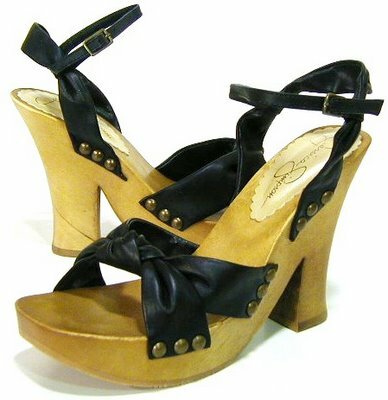 I was looking at little itty-bitty thumbnails of shoes looking for a similar sandal to the one you see above, minus the rosette. So, I clicked on the sandal. It was then that I noticed the written description of it. And then I looked away. I look back. Yes, folks, this is designed by the one & only Jess Simpson. The “fake-hair wearin, Nick Lachey-dumpin, over-grown-bag carryin, looks horrible w/out makeup & her hair done, can now sleep w/ lead singers of bands named Maroon 5” Jessica Simpson. I was pretty mortified. Then, I laughed at myself, & I’m posting this short anecdote to prove that it can also happen to you. Now, I’m gonna go back to sandal shopping. If you’ll excuse me please. Have a great weekend!